First fruit of a partnership between Brent Kenji (The Fairways, The Guild League, Skypark) and a Swedish chap called Erik Hanspers. The two have yet to meet, collaborating instead through the marvels of our international postal service and a shared sense of songwriting. 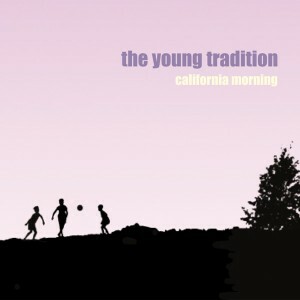 The Young Tradition is a unique alliance producing beautifully orchestrated songs with jangling guitars, keyboards, trumpet, rich melodies and Brent's captivating vocals. The sort of single that demands repeated listens again and again, this brilliant debut features two inspired originals and an earnest cover of "Isolation" by San Francisco pop heroes Poundsign. An absolute score for the Matinée roster, the duo is currently working on tracks for its debut album. In the meantime, marvel to the splendid sounds of your new favorite band! Limited to 1000 copies.